Your minilance continues to do amazing work! Attached is a picture of Benny Mizrachi who raced over with your minilance to treat a man who suffered a traumatic injury. At another recent call one evening, United Hatzalah volunteer Yossi was at home when he was alerted to a vehicular accident. The devoted volunteer immediately dashed outside to your minilance and raced to the scene. A bicyclist had been struck by a car, and the rider was lying sprawled on the pavement. Yossi grabbed your minilance’s medical kit and approached the victim. The 28 year-old man was semi-conscious and struggling to breathe! Yossi quickly connected an oxygen line and affixed a neck brace. Then, he began to bandage the man’s injured limbs. The victim slowly came to and related that he was experiencing severe dizziness. 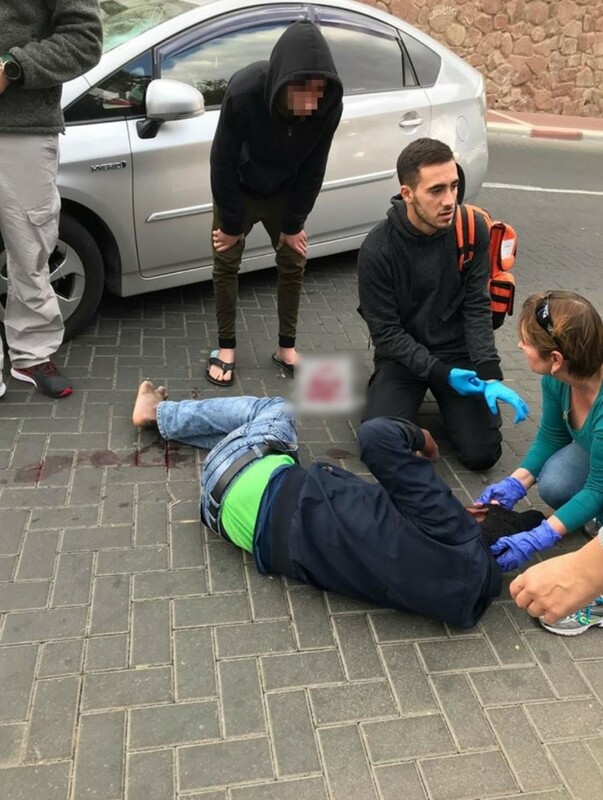 An ambulance then arrived, and Yossi briefed the crew as to the man’s condition and his treatment as he helped the victim into the ambulance for transport to the hospital. Your minilance is making a big difference and saving lives. Thank you for partnering with United Hatzalah in lifesaving.